Outdoor Revolution’s handy ‘Awning Storage Hanger’ is a superb optional extra, consisting of a linear row of spacious mesh pockets, backed with a traditional-feel 600HD polyester fabric in order to ensure optimum water resistance, durability and longevity. Complete with a total of five shelves (perfect for storing footwear for all the family!) 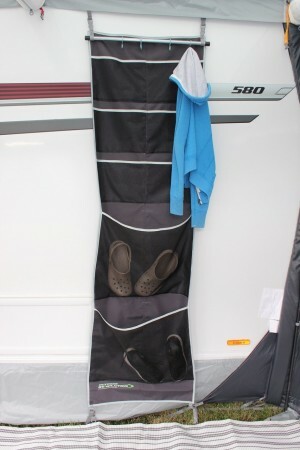 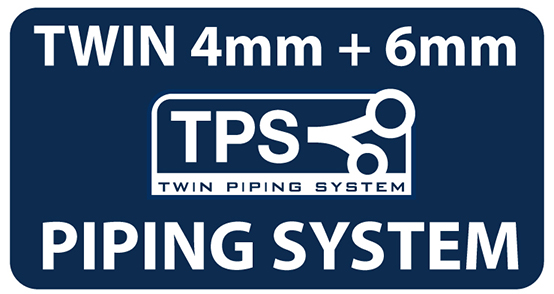 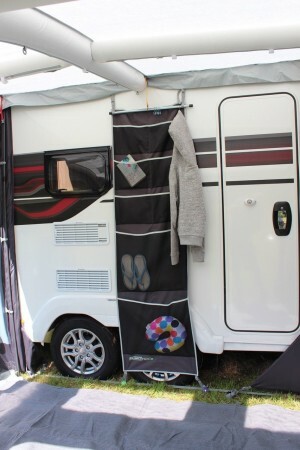 and four cloak hangers at the top to conveniently hang your jackets on, preventing getting them dirty; this is a crucial accessory for caravanners and motorhomers everywhere! 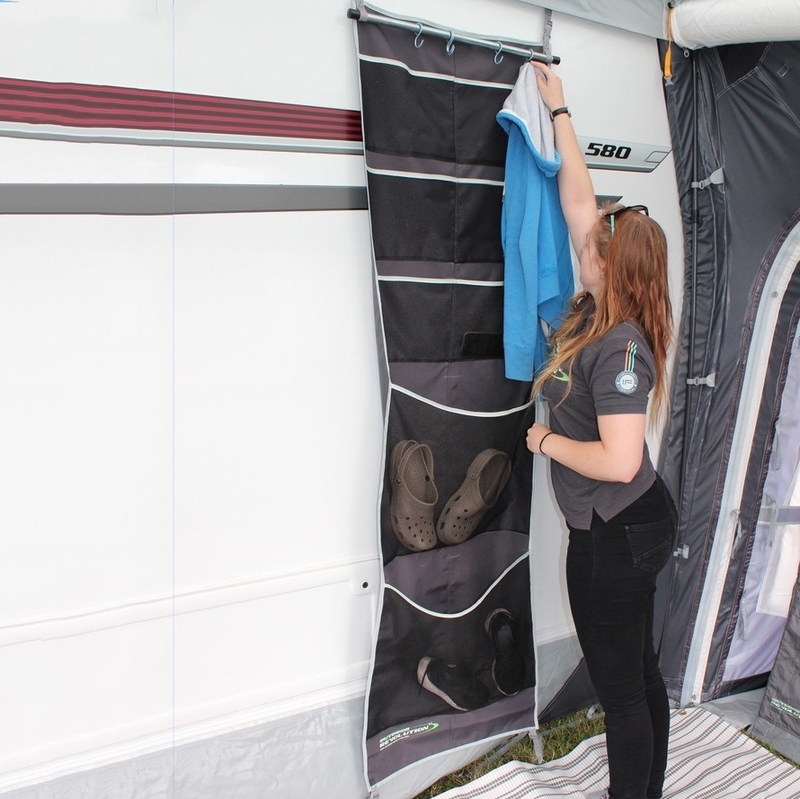 Are you looking for the Awning Storage Hanger?